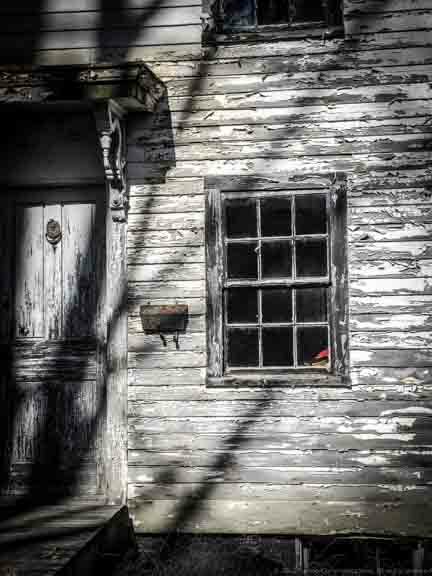 We walked on Main Street in Georgetown, Massachusetts… Jack and me, crunching our way through the piles of color and texture, our heads down against a steady breeze. Not because of some extreme temperature that need be endured… but to shield our eyes from the low and exceptionally bright Fall sun. We walked away from the center of town along the busy street, trucks rumpling by every few seconds… until the sidewalk ended, then turned and walk toward town on the other side of the street. We’re making good time when… a car stops and two young girls, visitors from Germany inquire about where they can find a MacDonald’s or a Starbucks. They aren’t looking for a fast food meal or overpriced coffee… but a WiFi zone so they can communicate with their families and friends… relate the details of their trip… reassure their parents that they haven’t kidnapped here in Massachusetts. So on we go. Main Street, we discover is all about texture and color today! I’m trying to take pictures of what I’ve found and Jack is all about getting back to the pet store we discovered on our way. There’s a treat waiting for him, he’s pretty sure. Color… of course… it’s Fall in New England. It’s what we have! With the tropical storm ‘Sandy’ approaching, there will be little color left when she’s gone! Shadows on a red barn. The low sun at this time of year is interesting… creating patterns on everything. 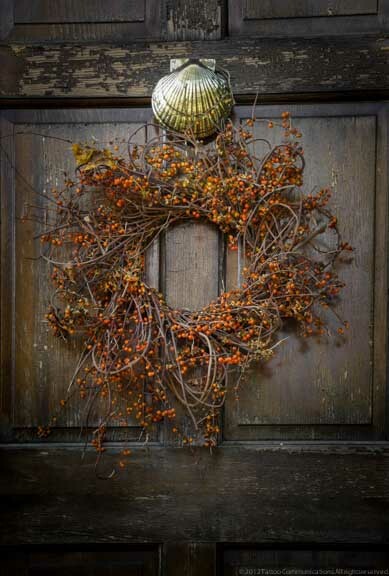 Believe it or not… this is from a front door. Paint peeling off a door on a house built in 1810. It’s unoccupied and probably for sale. Any one interested? An American porch… without a doubt. The glow on the ceiling is a bounce from all the yellow leaves in the yard. I wanted to sit and watch the day go by. Primary colors… gone too soon, to be sure. The white shade… A composition in angles and lines. This historic house, the Adams Clark House, is striking in that a corner of the house is almost directly on the street. A personal favorite from the days walk. Look how all the lines and shapes lead the eye to the center of the photo and the brightest spot… the shade. An accidental heart… they find me everywhere… this one in the peeling paint of a neglected fence. You’ve Got Mail… I couldn’t help smiling at the irony of talking with the girls from Germany communicating half a world distance from their families while we stood in front of this “LETTERS” slot on an ancient door. How long would someone have waited for a simple letter from a loved one to slip through this portal with the “latest” news?… not that long ago. Shadow composition with red hydrant. Ghost in the tree… a spooky figure in a hooded robe. … a colorful object in the window suggests an unlikely resident. 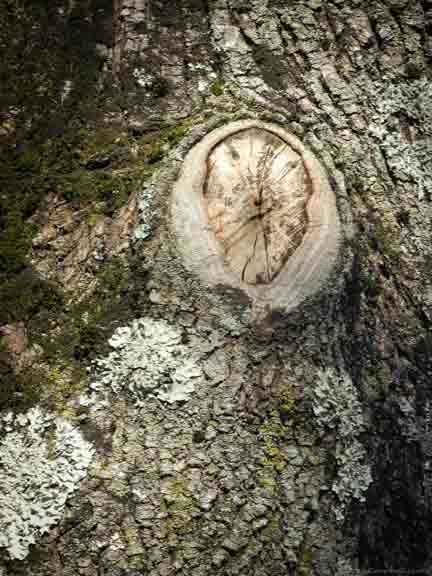 A tree with a face. A bittersweet wreath in the shadows. 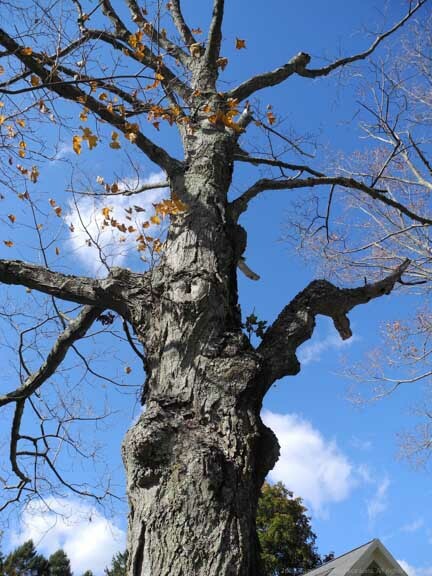 A tree with a number of faces… a large one at the bottom looking left with a puffy cheek… a small face just below and to the right of the large one… a profile on the right side of the trunk (by the white cloud). At the top there appears to be a man standing with arms outstretched. 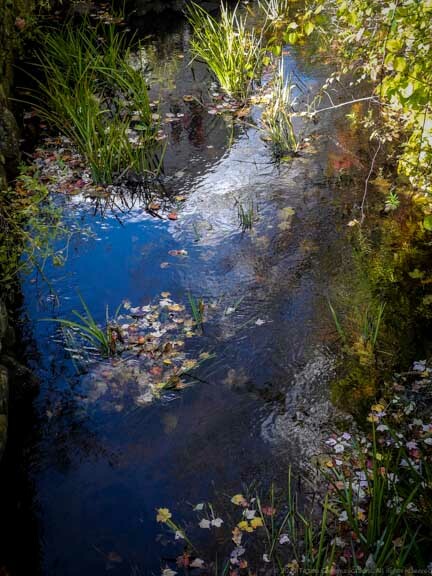 The beauty of the day reflecting in the water of a creek on North Street. 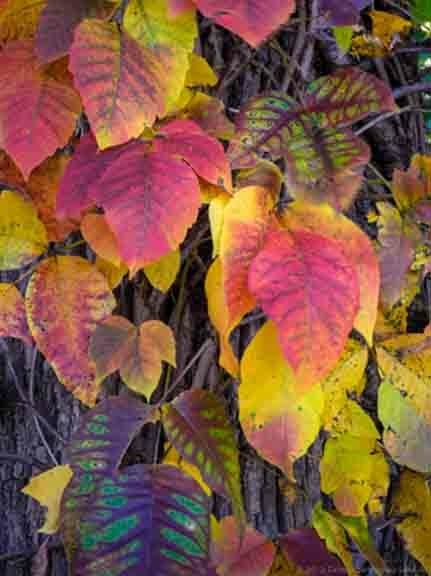 The true colors of fall leaves are revealed! 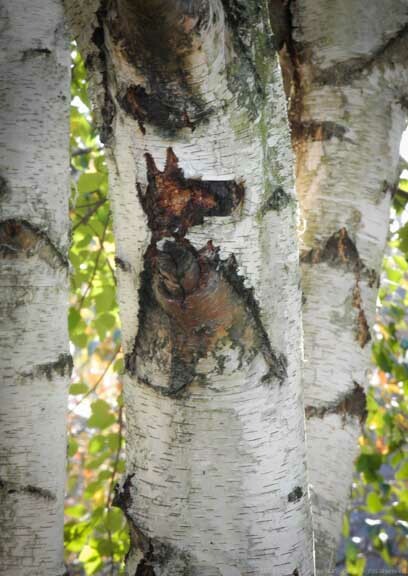 The most amazing found object… a complete dog in the bark of a birch tree. 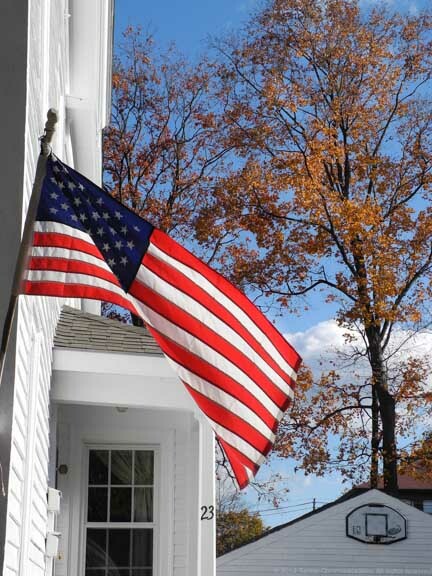 Only days from an election… the American flags are everywhere.